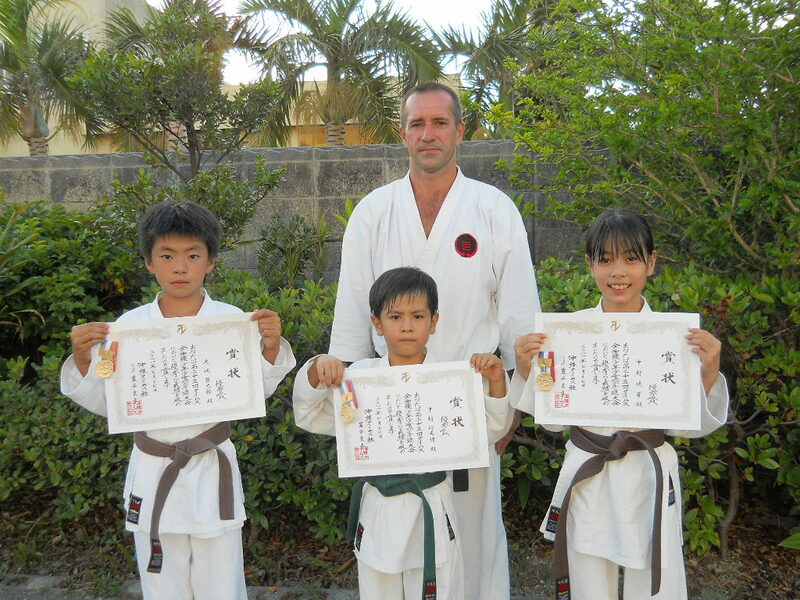 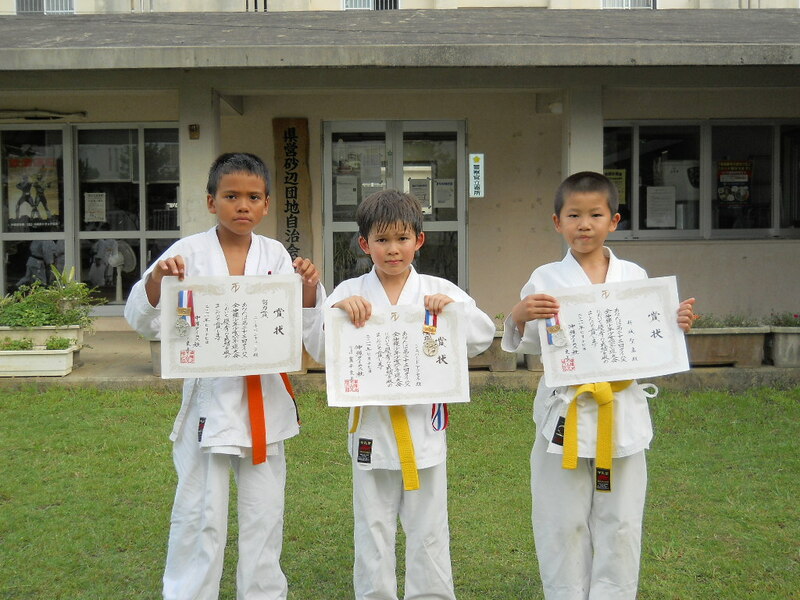 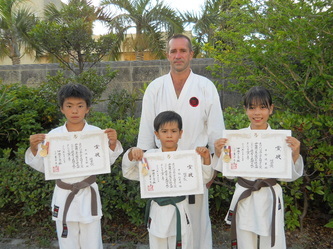 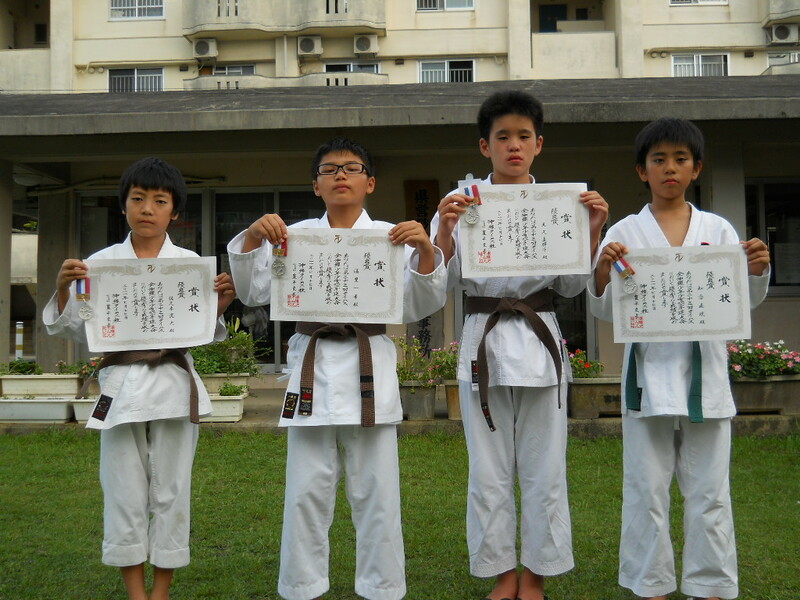 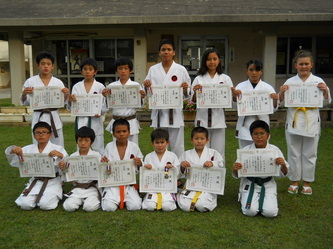 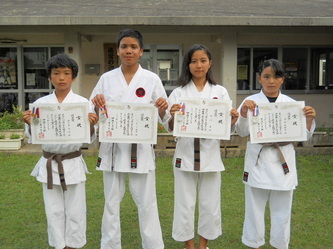 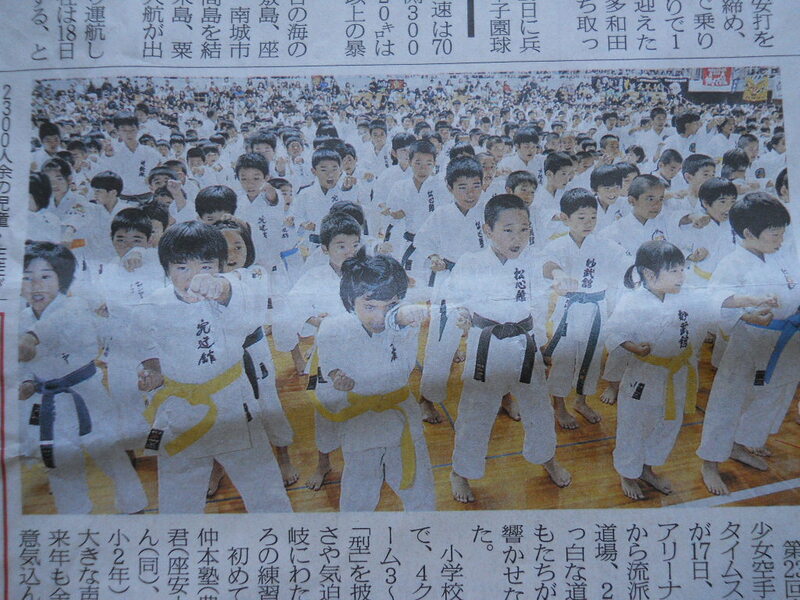 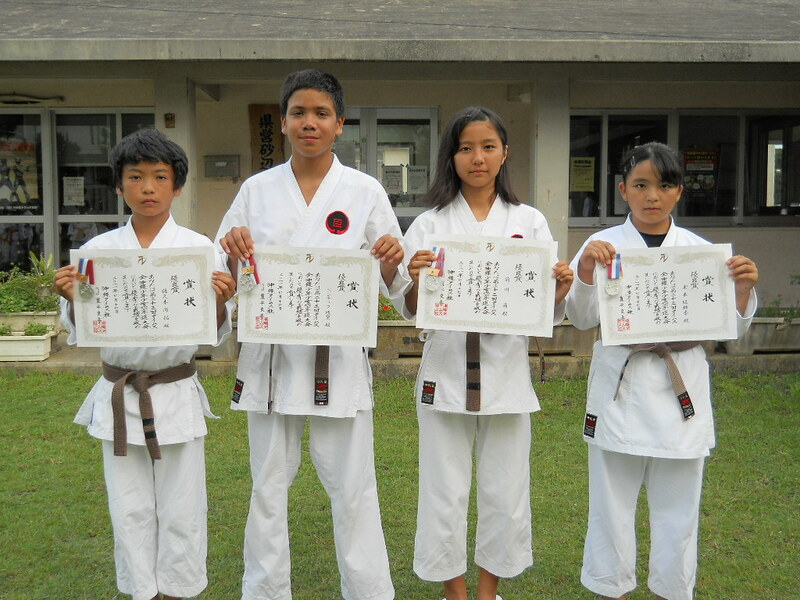 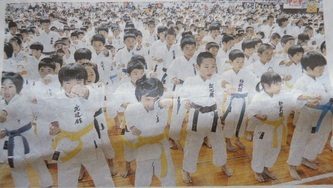 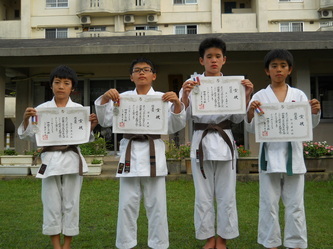 On July 17, 2011 the 23th edition of the most important junior kata tournaments the "Okinawa Times Competition" was held at the Kenritsu Budokan in Naha. 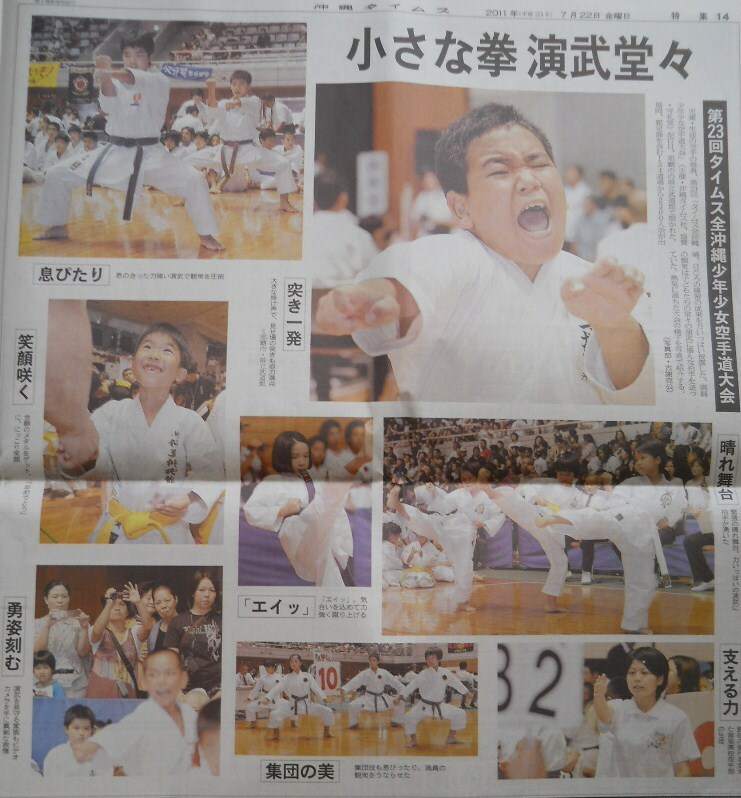 As usual it was a great event with 2312 athletes participating from 134 dojo's, divided into 3 elementary school categories plus one middle schools. 4 teams placed at the top, winning a total of 14 well deserved medals, even the newspaper published a photo-article after the competition with the following text (translated from Japanese): "beauty team: both the technique and breathing have aroused the public's enthusiasm in unison." 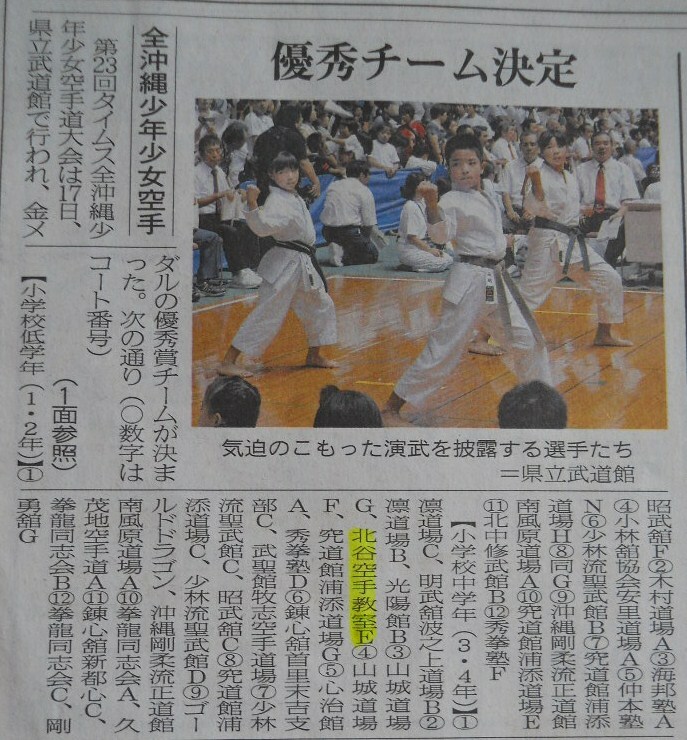 Team C (Ryuku, Moe, Asaka, Naohiro) silver in the middle school group (and picture in the newspaper). 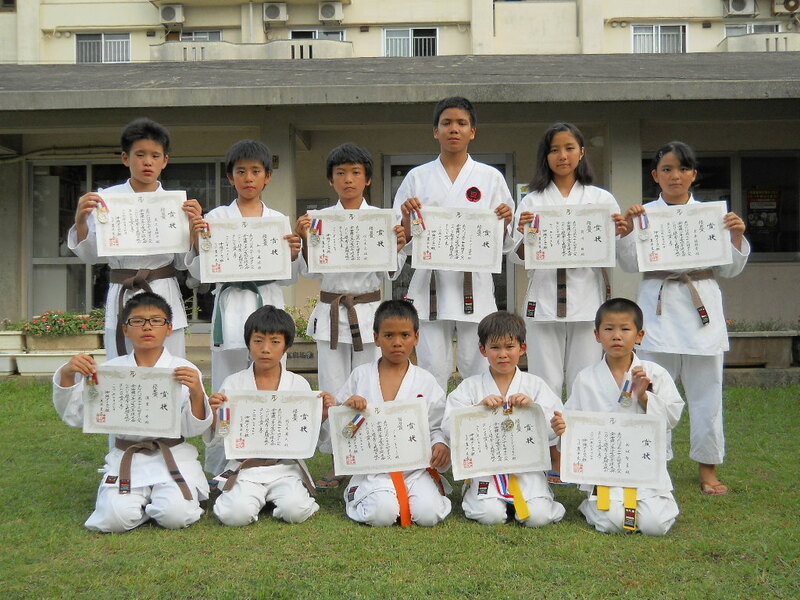 Sincere congratulations to all my students who apart from the splendid results, have faced once again the challenge with great devotion and determination.